The 2019 Geneva Motor Show is scheduled to take place in Switzerland from March 7, 2019 to March 17, 2019. It is considered as one of the most important automobile shows in the world as various automobile manufacturers bring their concepts, near production ready as well as ready to launch models and showcase it to the public. While we will be covering the motor show in detail in March 2019, there is an official update from Mitsubishi. The Japanese car manufacturer will be showcasing the all-new Engelberg Tourer Concept and here is a teaser image of it. 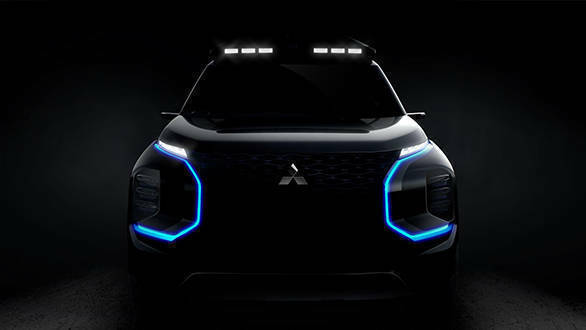 Mitsubishi mentions, "Named after the prestigious Swiss winter-sport resort, the all-new Mitsubishi Engelberg Tourer Concept is set to bring further developments in SUV styling and practicality along with a focus on next-generation technology and enhanced EV performance" That's all we know about the concept. Details on the powertrain, range and other bits on platform and specifications, we believe, will emerge closer to the official showcase date. "With its latest concept vehicle, Mitsubishi Motors is demonstrating its intention to remain at the forefront of vehicle design and technology: The Mitsubishi Outlander PHEV has consistently been the UK's best-selling plug-in vehicle since it established the plug-in hybrid SUV segment when it was launched in 2014." added Mitsubishi. Stay tuned to OVERDRIVE to get all the updates from the motor show.